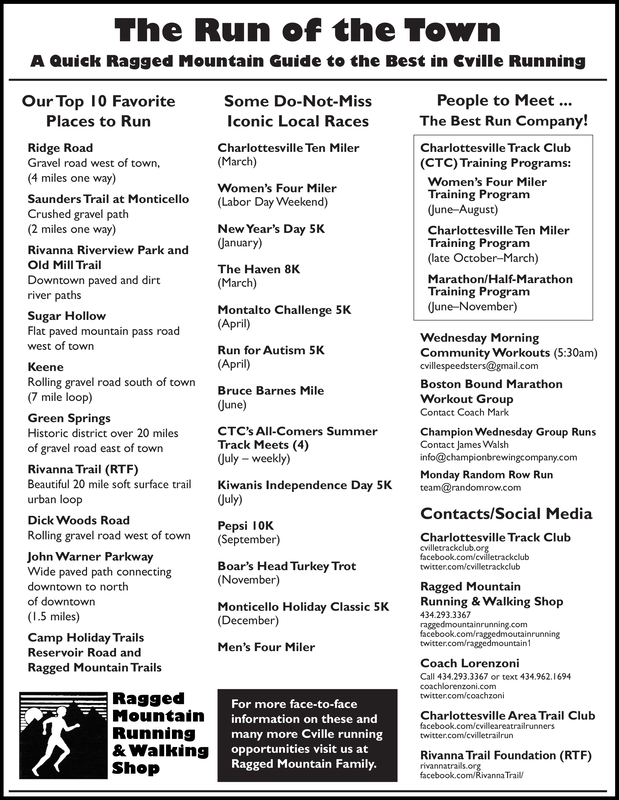 Below is a list of road races and other running events in the Central Virginia and Charlottesville area. To be notified of upcoming events, join our e-mail list! Volunteers needed for local not-for-profit races! ​Call 434.293.3367 or 434.293.6115 for more information unless otherwise noted.